The Muscogee School District partners with Virco PlanSCAPE to furnish an ultramodern campus for the visual and performing arts. At Rainey-McCullers School of the Arts students in grades 6 through 12 are inspired to unlock their creative potential in programs that meld music, dance, theater, film and design with a rigorous academic curriculum. Opened in fall 2017 in Columbus, Georgia, the prestigious three-story, 118,500-square-foot school was designed to accommodate up to 500 students and required a unique mix of specialty and traditional furniture and equipment. 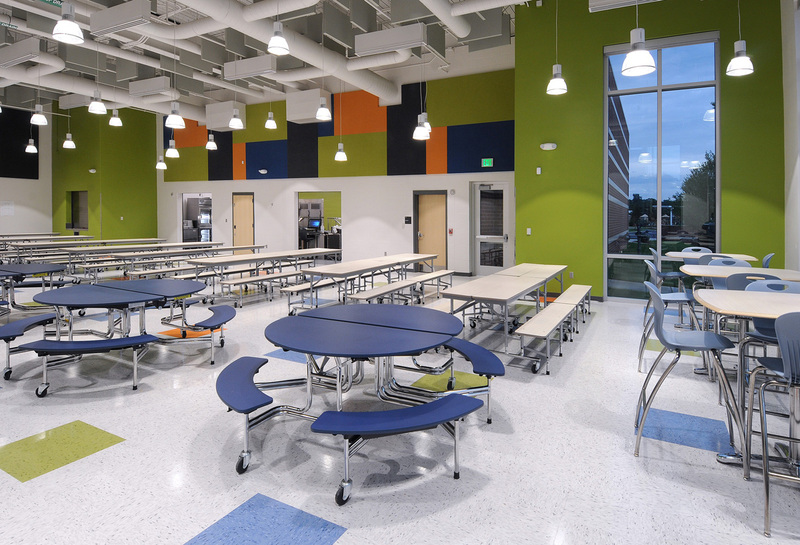 As a first-of-its-kind project for the district, school officials had a potentially challenging task and relied on the expertise of Virco PlanSCAPE to help them achieve success in outfitting this special space. The Director of Purchasing of Rainey-McCullers School of the Arts experienced a moment of clarity when she first met with Virco’s PlanSCAPE team. Until then, she had worried about the multiple orders to place, the various vendors to contact and the area installations to coordinate in the midst of construction delays, not to mention trying to stay on budget and meeting the school’s opening day deadline. The PlanSCAPE professionals quickly allayed her worries by showing her how they could take on the bulk of the project by managing, simplifying and expediting the FF&E procurement process. 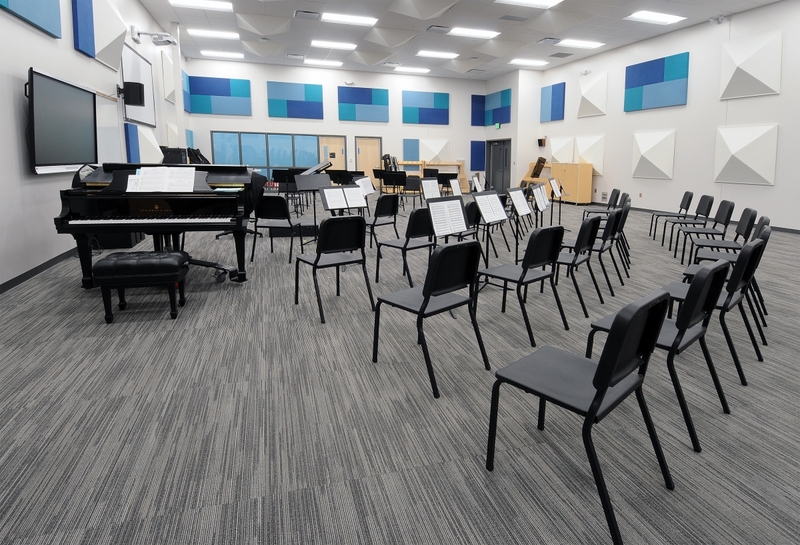 For more specialized spaces, like the music areas, PlanSCAPE provided both specialized equipment and expert advice on acoustics through a partnership with the Wenger Corporation, a global provider serving the performing arts and music education sectors. And in a means to help the school open on time, the PlanSCAPE team devised a plan to outfit classrooms and specialty areas in phases around ongoing construction. By the time the building was complete, so were the installations. Not only did the school open on time, but the project came in under budget, thanks to Virco’s cost-saving U.S. Communities contract. 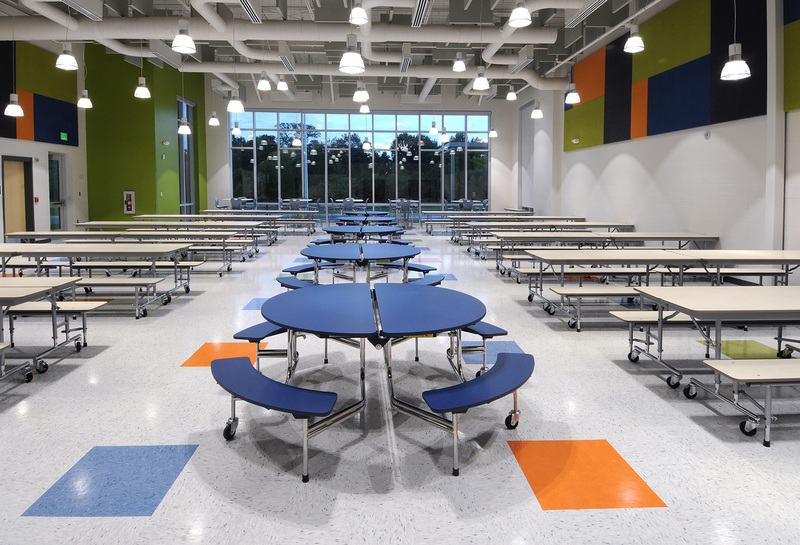 The PlanSCAPE team and furniture partners outfitted the music areas throughout the school with chairs, stages and proper acoustics. 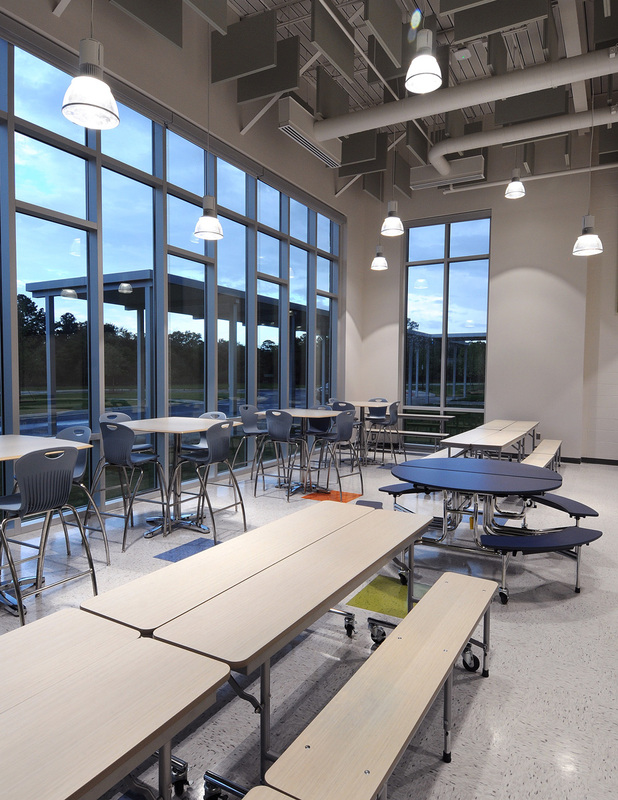 A variety of seating arrangements creates multifunctional spaces in the school cafeteria. Casters on the Convertible Bench Tables and Oval Bench Tables allow for quick and easy mobility, while the Civitas Café Tables and Civitas Series Stools provide additional seating. 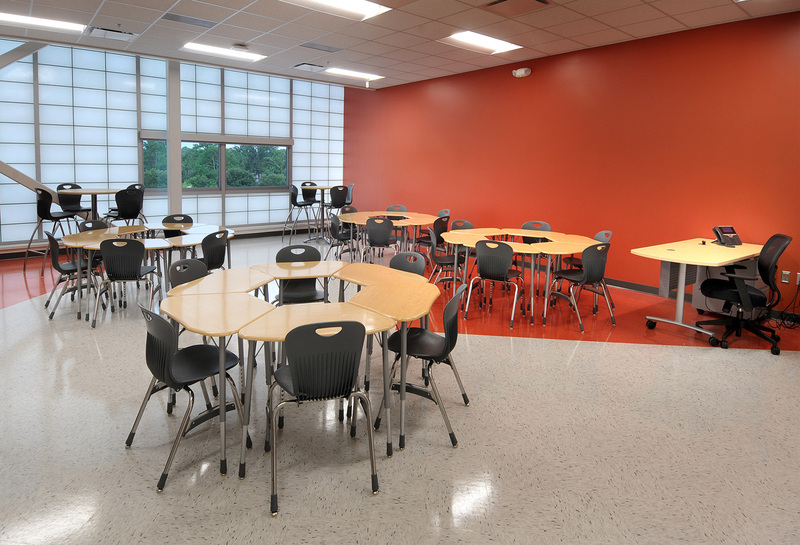 Throughout the three-story campus, the PlanSCAPE team provided flexible furniture solutions, including the digital computer lab, which features ZUMA Series Lab Stools and 5000 Series 36” x 72” Stand-Up Height Activity Tables. In the Media Room, Virco PlanSCAPE professionals focused on flexibility and ease of movement. 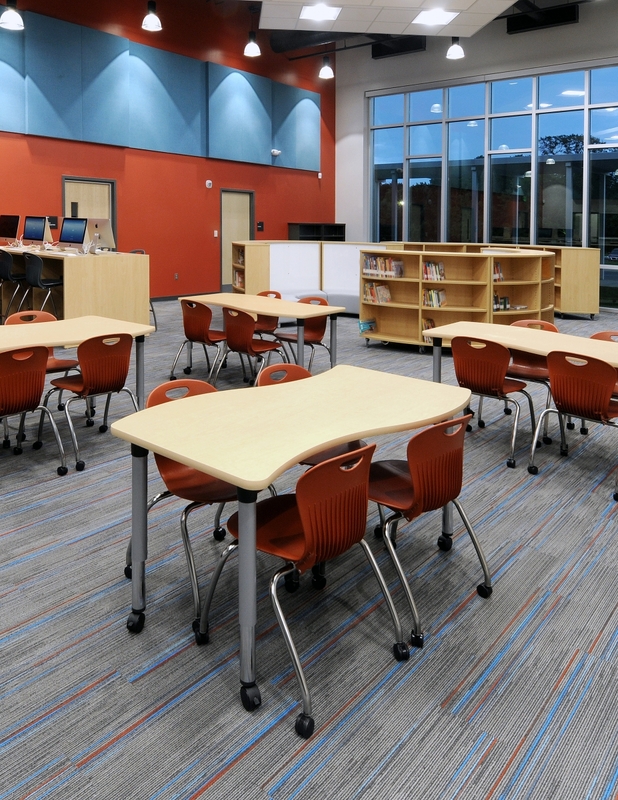 Here, ZUMA Series Stacking Caster Chairs, 5000 Series Slide Tables and Shelving all feature casters that easily glide to customize learning spaces. 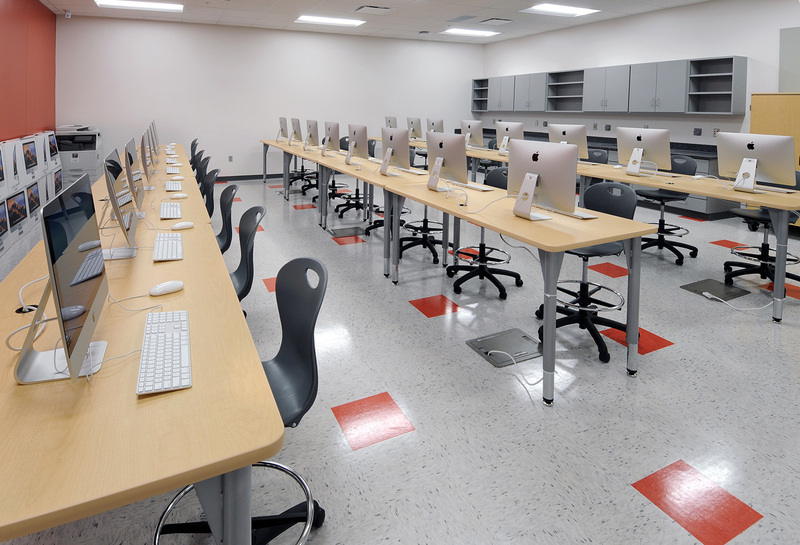 The center also includes computer stations furnished with ZUMA Series Civitas Stools. 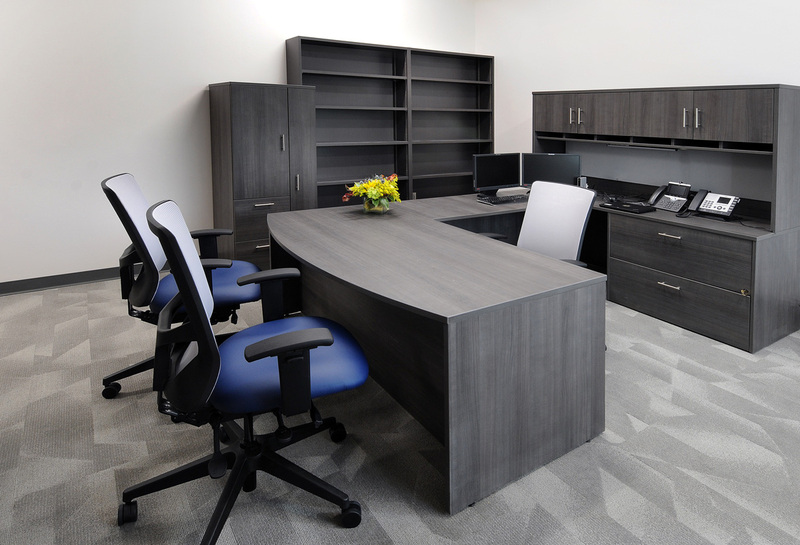 The offices at Rainey-McCullers are furnished with custom desks provided by Virco PlanSCAPE Partners. "The Rainey-McCullers School of the Arts was a vision of the Muscogee Country School District for over ten years. 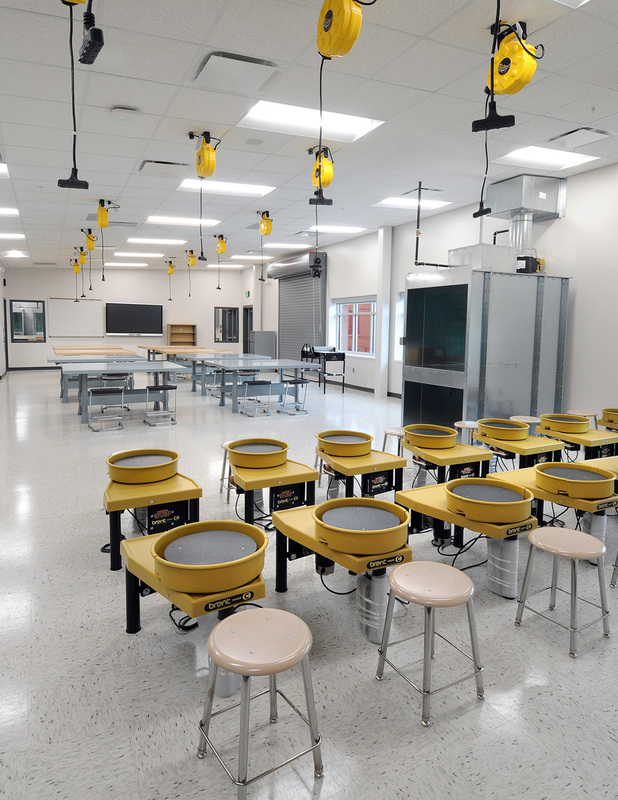 Because this was the first School of the Arts established for the district, Virco’s knowledge and experience were great assets in finding the unique furniture and equipment for this type of learning environment. 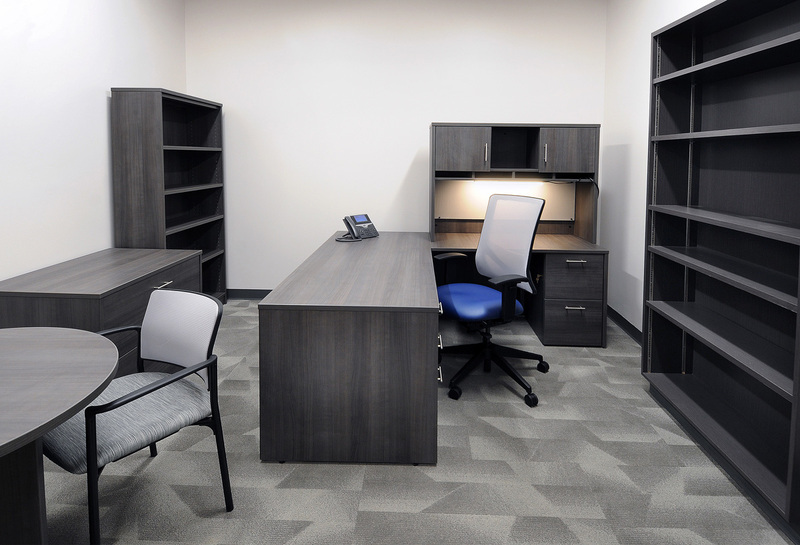 Virco had a well-defined project management approach and a good understanding of the flexible/adaptable nature of furniture needed to support instruction. 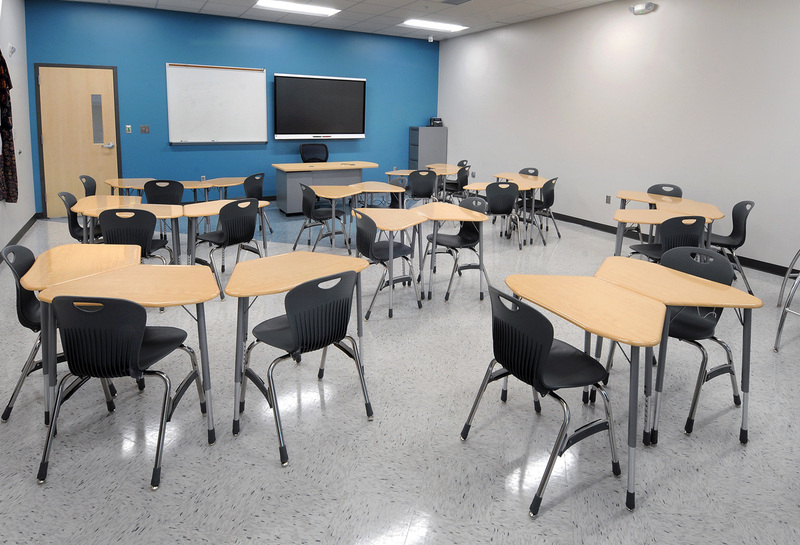 Virco’s quality products and services definitely met high expectations, and helped make this school a showcase which will proudly serve our students for years to come."